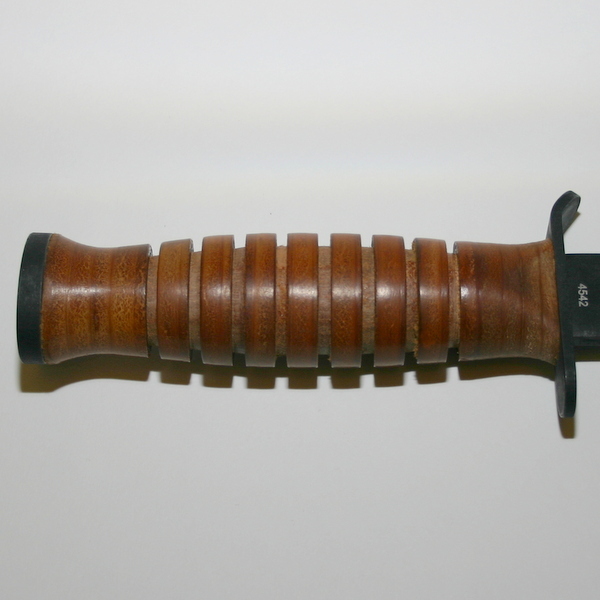 Designed in 1943, the M3 Trench Knife was intended to be used by any US soldier who was not equipped with a bayonet. 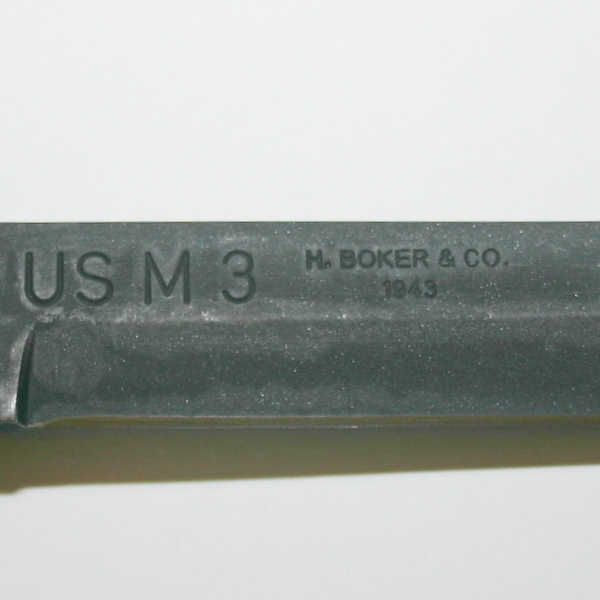 Soldiers with pistols, submachine guns, light or heavy machine guns all carried an M3 Trench Knife. 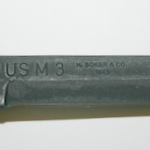 The first troops to receive the M3 were Airborne, Ranger and Glider infantry troops. 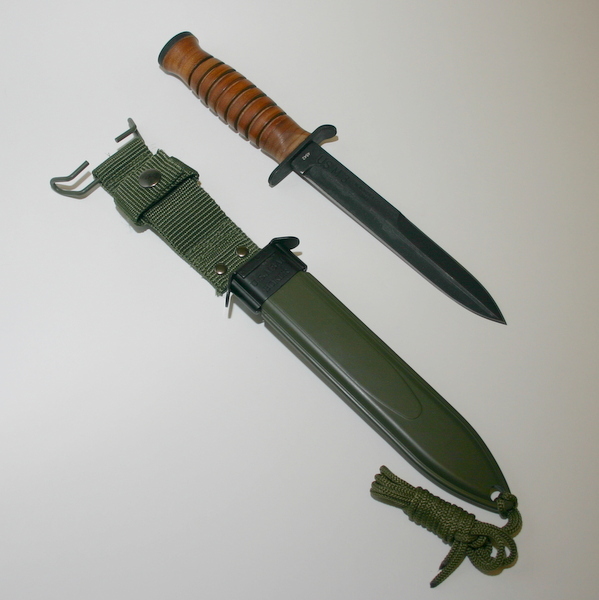 The Boker M8A1 pattern sheath has standard US pistol belt attachment hanger, a press stud retaining strap and olive green tie-down cords. 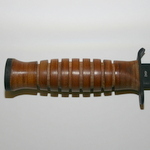 Alternatively, a sewn in loop will accommodate belts up to 2" in width.